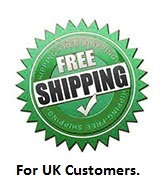 Official Optishot Distributor for the UK and Europe. 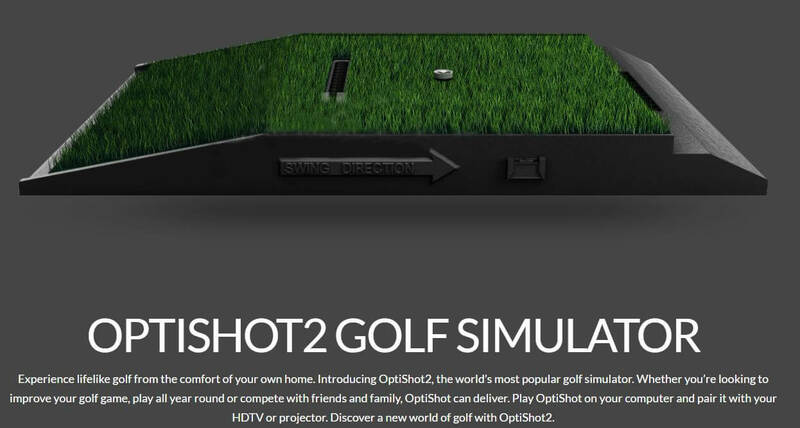 Say hello to the award-winning OptiShot 2 Golf Simulator. Affordable, accurate and effective. It’s compact and amazingly smart. It needs no room of its own, no six-figure income. And best of all, it will improve your game. Guaranteed. 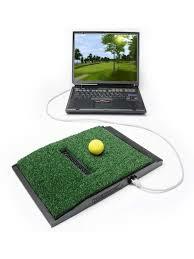 So come on in, get to know the world’s number one golf simulator better. Designed to work with every club in your bag, it requires no big set-up or big expense. 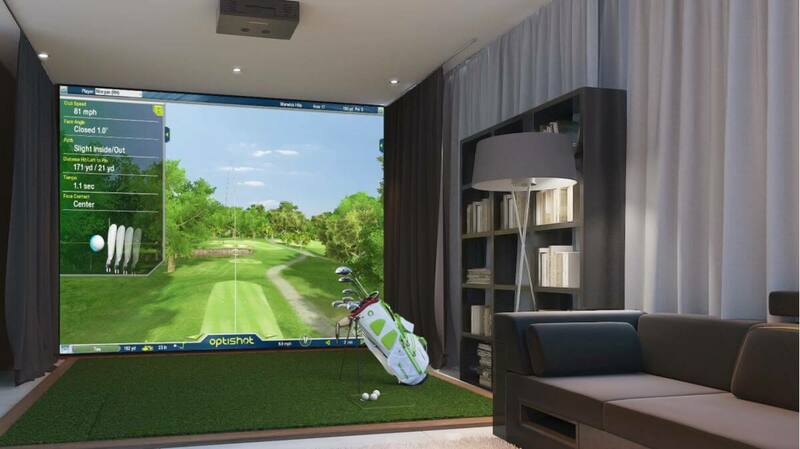 In fact, with an OptiShot2 Golf Simulator all you need is space enough to swing your clubs and a desire to improve. 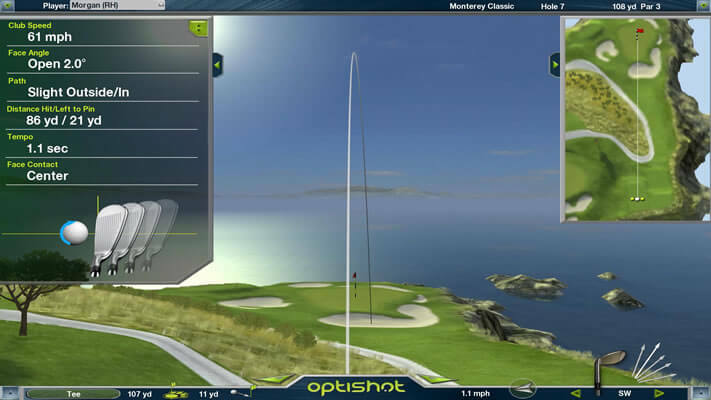 Now, play golf with OptiShot players around the world. Go head-to-head on every hole or join up with a foursome. Compete, socialize, win. It’s a lively way to get the ball rolling and improve your play. 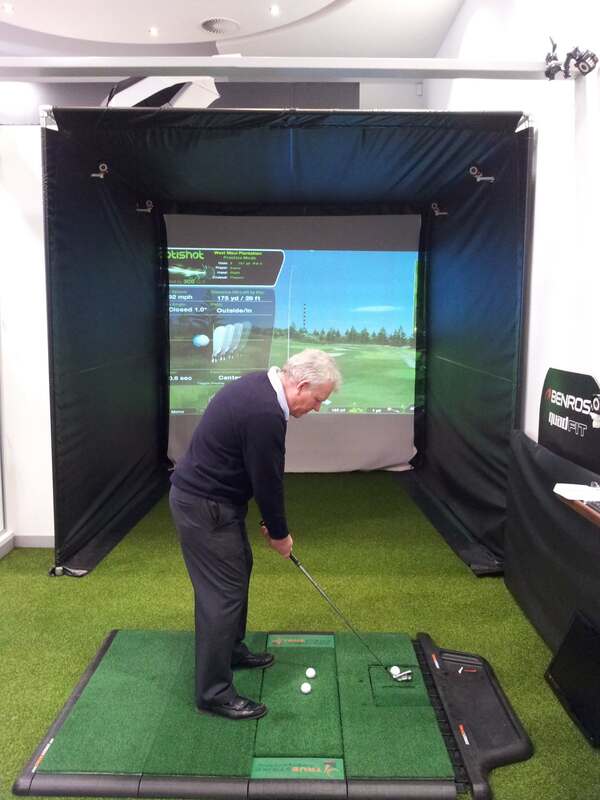 The OptiShot 2 Golf Simulator is undoubtedly one of the finest products on the market – it’s among the best ways to improve your game away from the golf course. This award-winning product combines state-of-the-art technology with ease of use to make it simple to improve your handicap in between visits to the course. Compact enough to fit inside your briefcase, this is a highly sophisticated piece of equipment that really produces results. The OptiShot 2 has been created by top designers and engineers in the field of golf analytics, and it has been developed to work with every club in your bag. There’s no complicated setup or large expense – all you need is enough space to swing your clubs and you can get started straight away. This is one of the most convenient and natural systems, and it’s a brilliant way to get better scores. It really feels like you are playing real golf when you step up to the OptiShot 2 – using high speed 48MHz infrared sensors the system provides you with instantaneous feedback on your shots. This means you can get in-depth statistical analysis on your game to help you find the weaknesses and improve them. 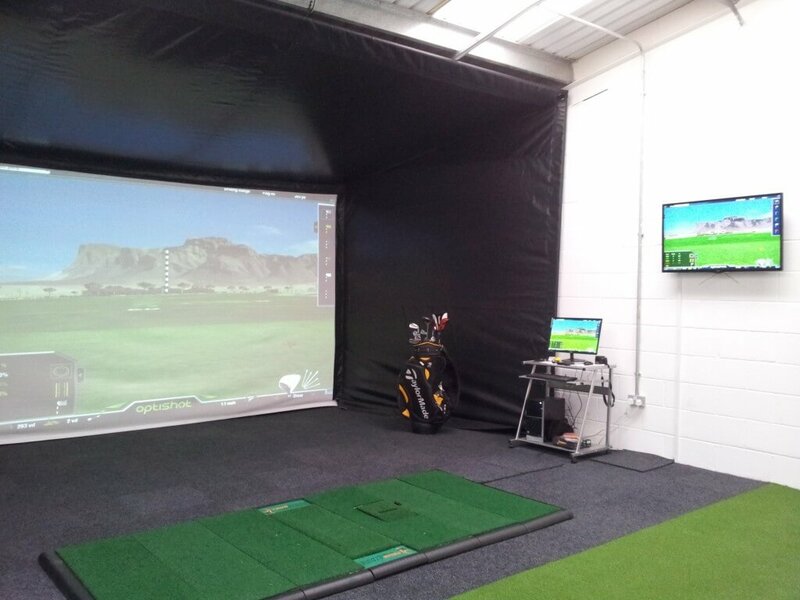 Golf Swing Systems can help turn a space or room into the Ultimate Golf Academy. We have so many different netting and projector screen solutions that will suit you space and your budget. Here are a few examples of Screens and Enclosures we can provide. 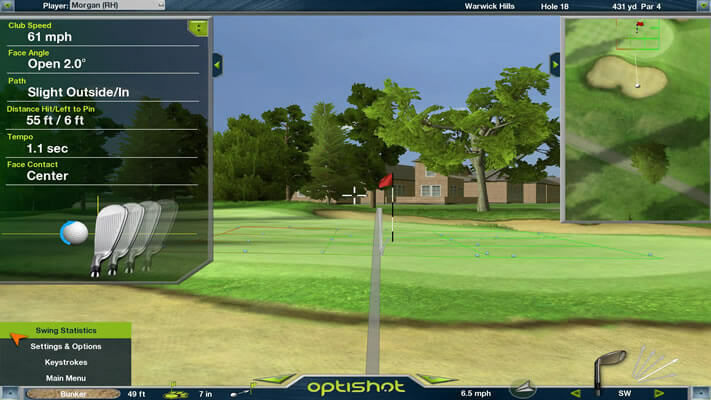 OptiShot Golf designers and engineers are leaders in the world of golf analytics. Through continuous research and development, the award-winning OptiShot2 Golf Simulator has a swing and ball-shot accuracy that is just like playing real golf. OptiShot2 has sixteen precisely-tuned, high-speed 48MHz infrared sensors. Each is calibrated to track your favorite clubs, before, during and after contact, giving you precise and instantaneous feedback on every shot. Over and over, it’s cutting-edge software and breakthrough design records, tracks and improves your swing until you throw darts. All you need is a Windows or Mac computer, golf clubs, and an indoor area with an 8 foot 5 inch height ceiling. Optishot is an indoor product and natural daylight can interfere with the sensors and cause misreads. We recommend a room with no sunlight and fluorescent lighting directed down onto the sensors from above for best results. 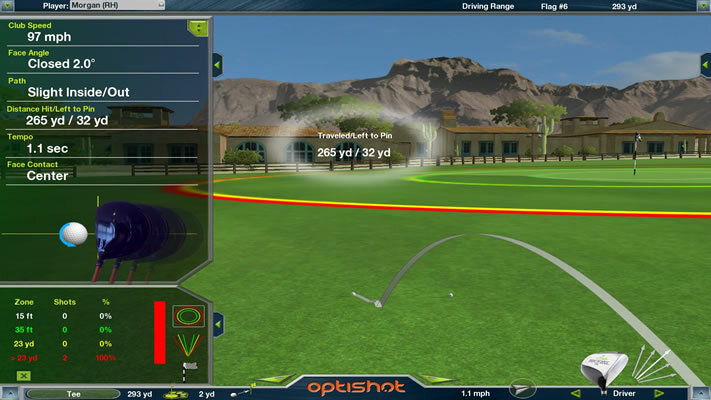 The Optishot System works by tracking what the golf club does through the impact area. Therefore the system cannot understand the physical strike on the ball. 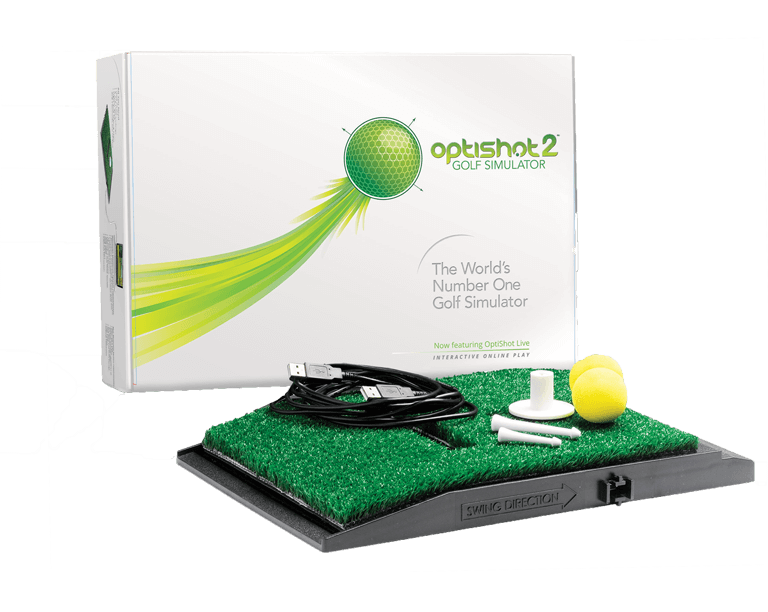 The Optishot2 Golf Simulator Ultimate Package.